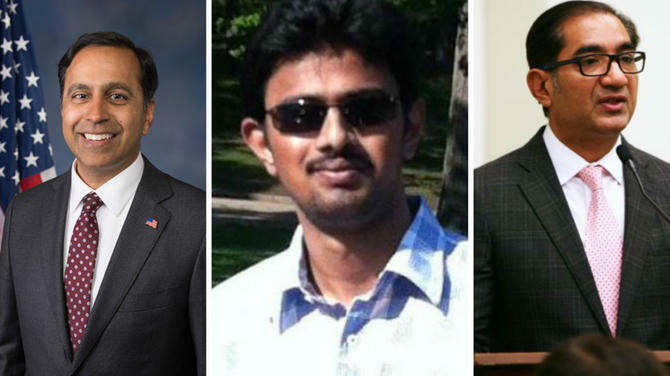 A record number of 20 Indian-Americans are running for US Congressional elections this year. Collectively, they have raised more than USD15.5 million, as per latest official figures, with seven of them raising over a million each. With six months still to go for the November Congressional election, except for Hiral Tipirneni who is running for April 24 special elections in Arizona, the figure of more than USD15.5 million raised by Indian-Americans so far that could be a record in itself for any ethnic community in the US. Traditionally, a significant amount of money is raised by candidates in the last two quarters. 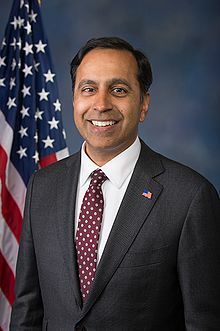 As per the latest fundraising figures released by the Federal Election Commission, Congressman Raja Krishnamoorthi from Illinois has raised the maximum, over USD3.5 million. 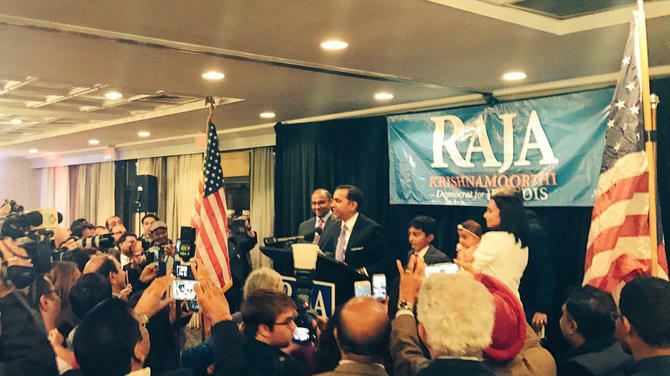 Krishnamoorthi is seeking his re-election from the eighth Congressional district in Illinois. Pitted against him is Indian American Jitender Digankar from the Republican Party. Indian-American scientist and entrepreneur Shiv Ayyadurai, who is running as an independent candidate for the US Senate seat from Massachusetts. 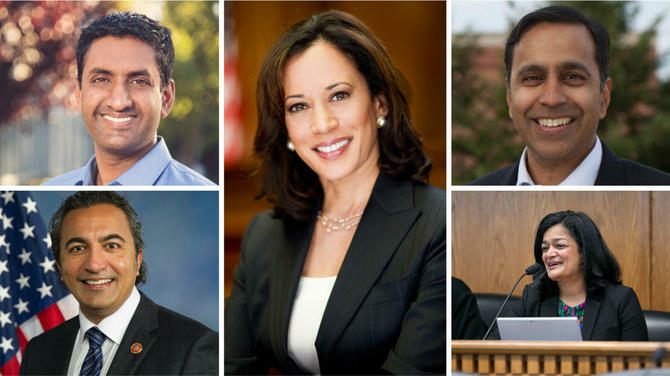 Three other Indian American Congressmen Ro Khanna, Dr Ami Bera and Pramila Jayapal each have raise more than a million each. 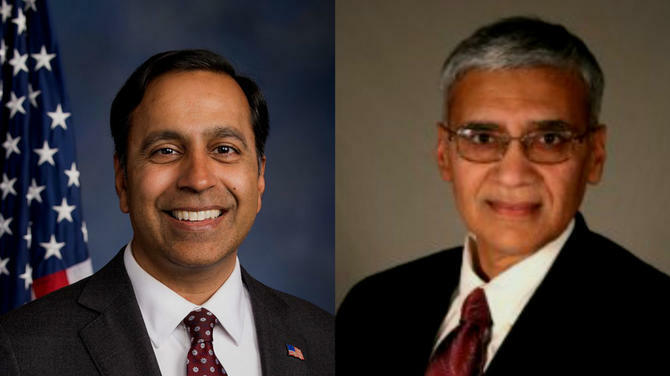 Krishnamoorthi, Khanna, Bera and Jayapal are the four Indian Americans in the current House of Representative. They are collectively called Samosa Caucus. According to Federal Election Commission Khanna, seeking re-election from California's 17th Congressional district had raised nearly USD2 million (USD1.92 million to be precise) till March 31. He is followed by Dr Ami Bera (USD 1.7 million), who is seeking his fourth consecutive term in the US House of Representative from the seventh Congressional District in California. 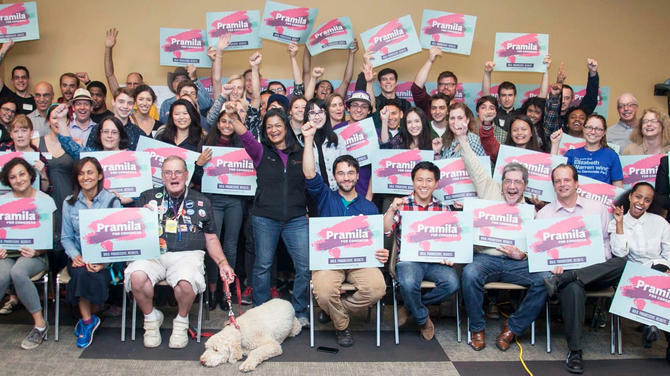 Pramila Jayapal, the first ever Indian-American to be elected to the House of Representative has raised USD1.3 million. She is seeking her re-election from the seventh Congressional District of Washington State. In addition to Jayapal, four other Indian American women are running for the US House of Representatives Hiral Tipirneni from eights Congressional District of Arizona; Aruna Miller from sixth Congressional District of Maryland, Anita Malik from sixth Congressional District of Arizona and Saira Rao from the first Congressional District of Colorado. All four are from the Democratic Party. This week all eyes are on Tipirneni as latest polls suggests that in the April 24 Special election she might create an upset by winning this Republican stronghold. She had raised USD 670,521 till March 31, according to Federal Election Commission (FEC) records. Aruna Miller, who has to win the June 26 primaries to become party's nominee for the November Congressional elections has surprised many by raising more than USD 1 million till the last quarter. Among the other two women candidates, Rao has raised USD255,000 and Malik has raised USD64,000, according to FEC records. Indian-American Aftab Pureva, who is seeking to enter the House of Representative from First Congressional District of Ohio on a Democratic ticket has raised USD663,000. Recently the Democratic party identified him as a potential winner. By raising more than USD1.1 million for the June 26 primary against incumbent Congresswoman Carolyn Maloney, young Suraj Patel has surprised many. 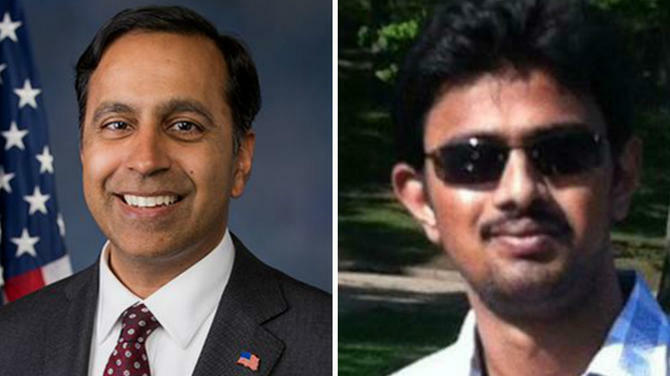 In the 11th Congressional District of New York two Indian Americans Omar Vaid and Mohan Radhakrishnan, are vying for Democratic primary on June 26. Two have raised 31,000 and 16,000 respectively. Similarly, in the two Indian Americans Peter Jacob and Goutam U Jois, are running against each other for the June 5 Democratic primary in the Seventh Congressional District of New Jersey. Sri Preston Kulkarni is headed for a primary run-off for the 22nd Congressional District of Texas on May 22. He has raised more than USD 178,000, FEC records reveal, Abhijit Das from the third Congressional District of Massachusetts more than USD220,000 and Chintan Desai from the One Congressional District of Arkansas has raised USD16,000. In addition to Digankar, Harry Arora is the only other Republican Indian American in race for the Congress. Running from fourth Congressional District of Connecticut, Arora has raised USD192,000 so far. A calculation of FEC figures, as of March 31 indicated, that all the 20 Indian-American candidates in the race for the Congressional elections this year have more than USD11 million in all for the rest part of the campaign. FEC figures also reveal that these candidates have loaned more than USD1.1 million to their campaigns. The list is topped by Arora with USD500,000, followed by Abhijit Das (USD283,000), Vaid (USD105,000) Jois (USD100,000), Tipirneni (USD70,000), Radhakrishnan (USD 50,000), Kulkarni (USD35,000) and Jacob (USD10,000). The current Congress has four Indian Americans in the House of Representatives, which is a record in itself.